Online ordering menu for Detroit Coney Grill - Phoenix. 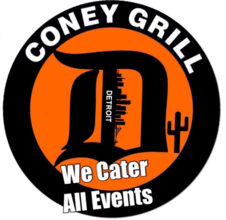 We serve coneys, burgers, pitas, and more here at Detroit Coney Grill in Phoenix, Arizona. Our menu features the Detroit Loose Burger, Boneless Red Wings, Double Burger, and Philly Cheesesteak Pita. We're located south of I-10 at the corner of Adams Street and Central Avenue. Order online for carryout or delivery!